You may send a mail to @tcare or the insurance company for the claim. You may please share the ticket number so that I can escalate your issue. Whenever you send a mail to tcare@smartron.com, you will receive an automated mail. You may please check and share the ticket number. Yes. Regarding the insurance claim, you will have to send a mail to the insurance company. Have you sent it? 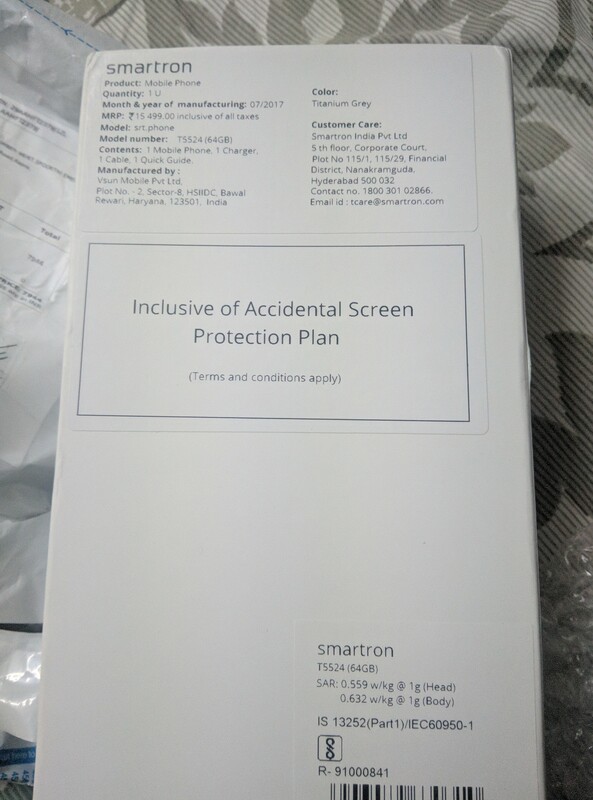 Have you bought the device with the accidental damage insurance policy? Can you share the policy here with me? This offer was live for a limited time. You should have bought it in the offer period. When did you purchase the device? Please personal message me the invoice.